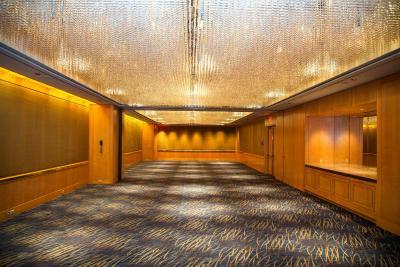 Lock in a great price for Pan Pacific Vancouver Hotel – rated 8.9 by recent guests! Great location, very friendly staff and comfortable room. Awesome location, lovely room service! Highly recommend this hotel to stay at in heart of Vancouver! The location was perfect! Emily at the front desk provided exceptional customer service that we rarely see anymore. The views of the harbor, city and Stanley Park were unbelievable. We also enjoyed the live music by Cole in the bar the two nights we were there. The rooms were very nice and comfortable. Clean. We'd stay there again for sure. The location is right on the water which made a nice walk. Huge windows! The room was comfortable. It was quiet and the harbour view we had was spectacular. It was a good size room and I felt very relaxed in the room. The beds, bathroom, windows, counters were all clean and smelled clean. Bed was amazing! View of the water was breath taking. My little daughter spilled her soda in her food when we ordered room service and they got her a new grilled cheese and soda. Beautiful hotel in and out. Comfortable bed. Awesome view. Staff very courteous. Easy access from parking. Lots of things to walk to near by. Plenty of restaurants and shops. Great promenade to walk or rent a bike to Stanley Park. Public transportation right across the street to go elsewhere if you'd like. A great deal all around. Cruise ship terminal right here. 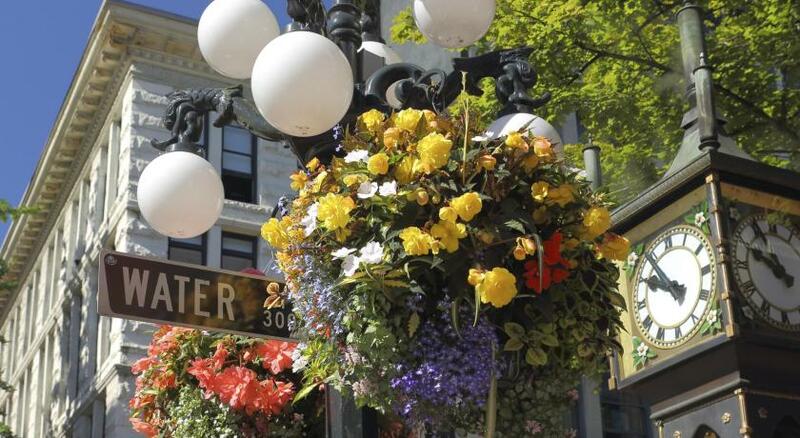 Great location to transportation hubs, attractions and shopping. Location great, and the rooms are lovely, clean and very quiet. The staff were great. The view was lovely and Service was good. 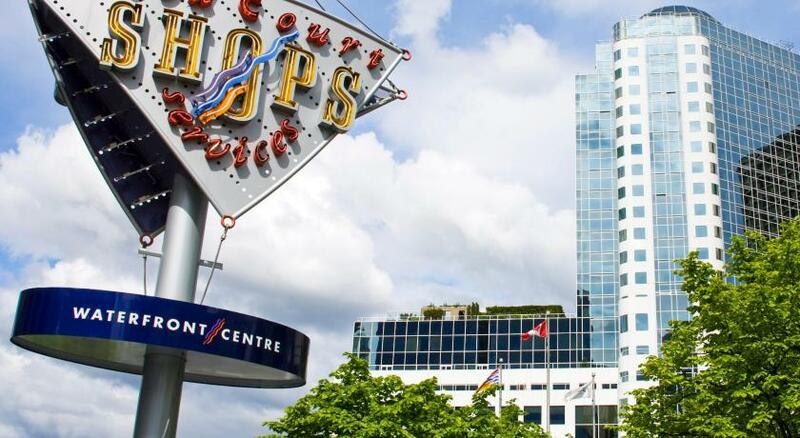 Pan Pacific Vancouver Hotel This rating is a reflection of how the property compares to the industry standard when it comes to price, facilities and services available. It's based on a self-evaluation by the property. Use this rating to help choose your stay! 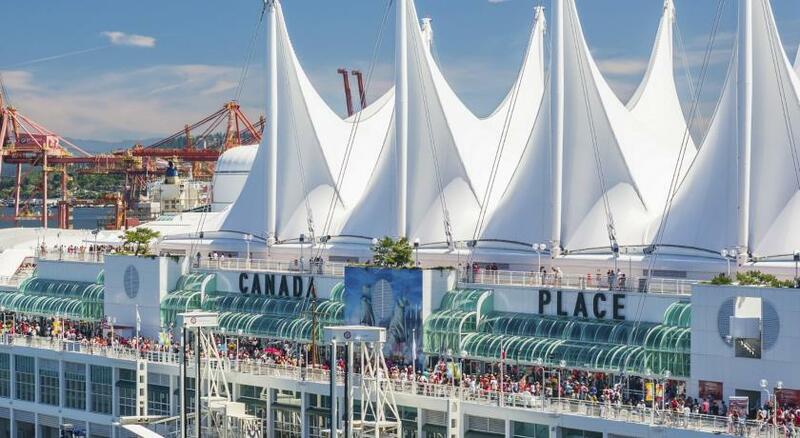 One of our top picks in Vancouver.Located on Vancouver’s waterfront next to the Canada Place cruise ship terminal. 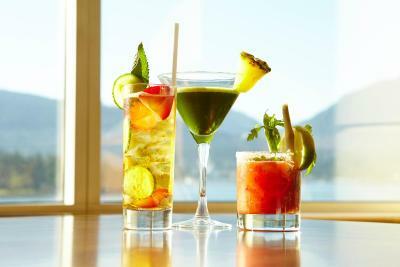 this luxury hotel offers a wellness spa, restaurant, and lounge located on site. 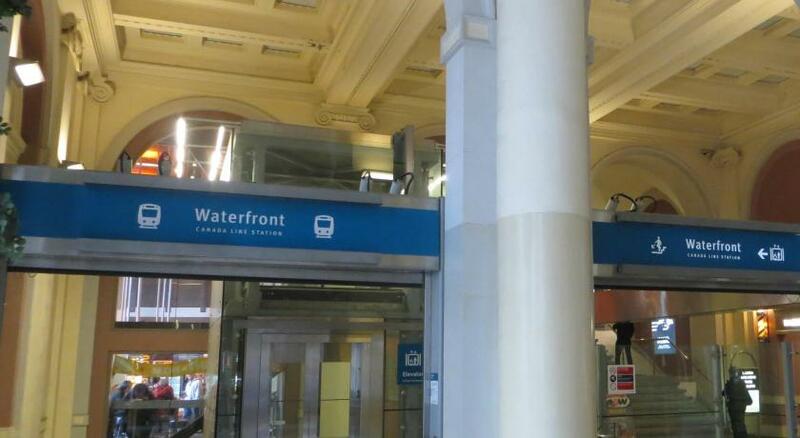 Waterfront Station skytrain is only 1,150 feet away. 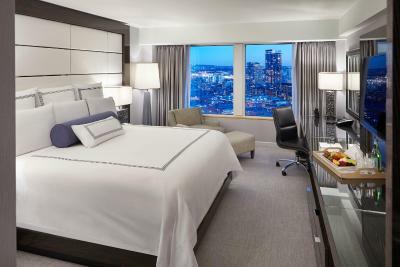 A 42" flat-screen TV, seating area, a coffee maker, and mini-bar are offered in each guest room at Pan Pacific Vancouver Hotel. A marble bathroom offers free toiletries and a walk-in shower. Mats, food, and water bowls for pets are also available. Oceans 999 restaurant serves Asian fusion cuisine. Coal Harbor Bar features and outdoor terrace and offers a full-service bar with cocktails. 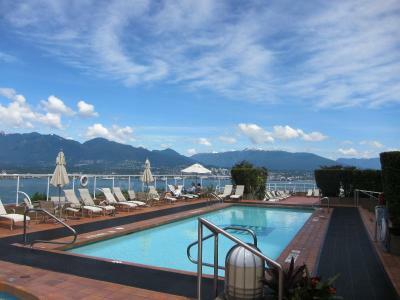 A heated outdoor pool is available to guests of Vancouver Hotel Pan Pacific. Guests can relax in the hot tub or the sauna. A tour desk and concierge services are offered on site. Queen Elizabeth Theater is 15 minutes' walk away. 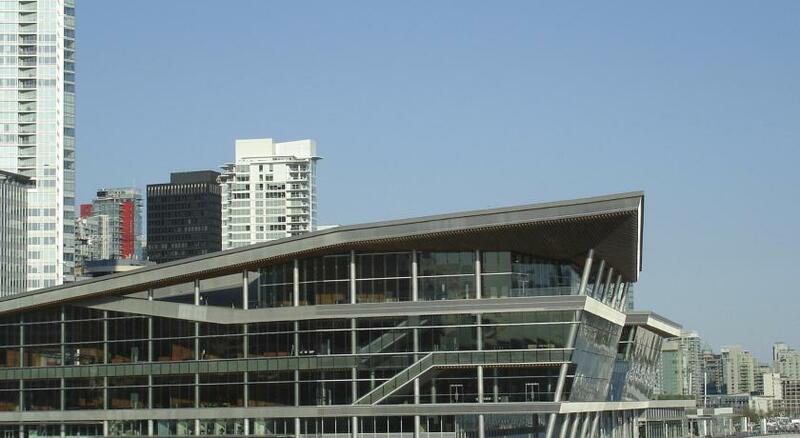 Vancouver Art Gallery is 2,650 feet from Pan Pacific Vancouver Hotel. 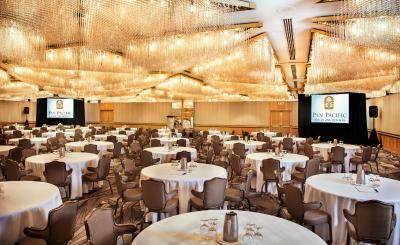 When would you like to stay at Pan Pacific Vancouver Hotel? This spacious room offers a 42" LCD TV, iPod dock, fully stocked mini-bar, coffee maker, and a digital safe. A seating area and work desk are provided. The private bathroom includes Italian marble and free toiletries. A view of the city and Mount Baker is enjoyed. Public parking is available on site (reservation is not needed) and costs CAD 50 per day. This spacious room offers a 42" LCD TV, iPod dock, fully stocked mini-bar, coffee maker, and a digital safe. A seating area and work desk are provided. The private bathroom includes Italian marble and free toiletries. A view of the Vancouver harbor and coastal mountains is enjoyed. 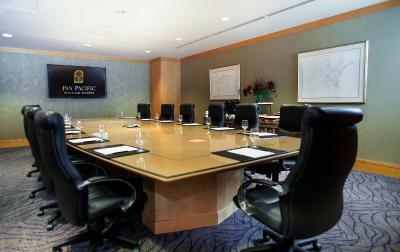 Located on the Pacific Club Floor, this room offers a 42" LCD TV, iPod dock, fully stocked mini-bar, coffee maker, and a digital safe. A small seating area and work desk with internet access are provided. The private bathroom includes Italian marble and free toiletries. A view of the city and Mount Baker is enjoyed. This room comes with private check-in and check-out, and a dedicated concierge team. 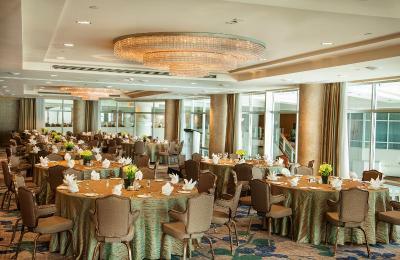 Access to the Pacific Club Lounge includes with complimentary breakfast and evening hors d’oeuvres overlooking the city and mountains. The self-serve bar in the Club Lounge provides all day complimentary coffee and tea services, local and international newspapers and magazines, and a complimentary WiFi and fax service. 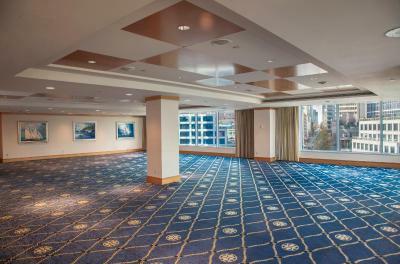 Also known as the Bayview Suite, this suite offers a separate bedroom and living room both with a 42" LCD TV. An iPod dock, fully stocked mini-bar, coffee maker, and a digital safe are included. The private bathroom includes Italian marble and free toiletries. A view of the city is enjoyed. Please note the room rate is based on 2 people but can accommodate a maximum of 4 people. Please refer to policies for extra fees. This room offers a 42" LCD TV, iPod dock, fully stocked mini-bar, coffee maker, and a digital safe. A small seating area and work desk with internet access are provided. The private bathroom includes Italian marble and free toiletries. A view of the Vancouver harbor and coastal mountains is enjoyed. 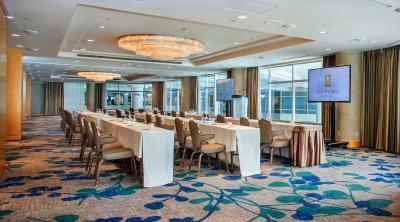 Located on the Pacific Club Floor, this room offers a 42" LCD TV, iPod dock, fully stocked mini-bar, coffee maker, and a digital safe. A small seating area and work desk with internet access are provided. The private bathroom includes Italian marble and free toiletries. A view of the Vancouver harbor and coastal mountains is enjoyed. This room comes with private check-in and check-out, and a dedicated concierge team. This double room has a bathrobe, mini-bar and sofa. This suite has a mini-bar, sofa and private entrance. 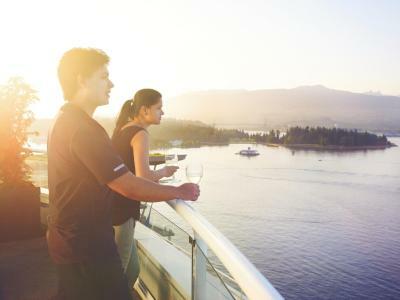 We have over 500 beautifully appointed guestrooms and suites in downtown Vancouver, from harbour-facing rooms with sweeping views of the Coastal Mountains, to some of downtown Vancouver’s finest luxury suites, complete with spacious living and dining areas, rain steam showers and Jacuzzi tubs. 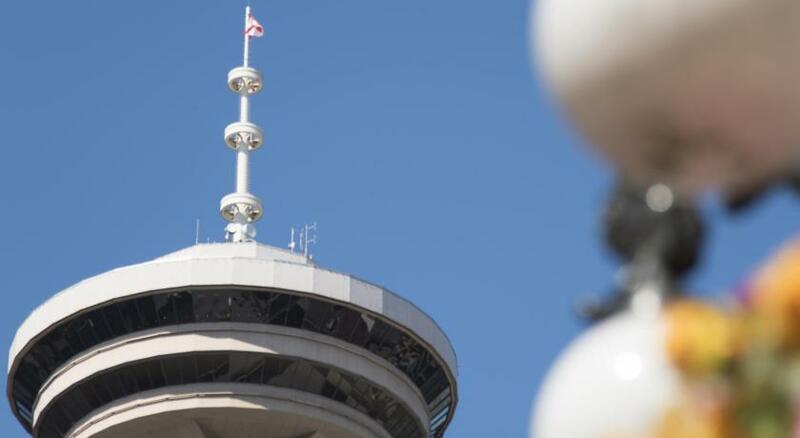 Enjoy our 8th-floor rooftop heated outdoor saltwater pool and internationally renowned Spa Utopia and Salon, or simply relax in the luxury of your accommodations with 24-hour in-room dining, elegant furnishings and our warm Pan Pacific Vancouver hospitality. WiFi is available in the hotel rooms and costs CAD 5.95 per 24 hours. 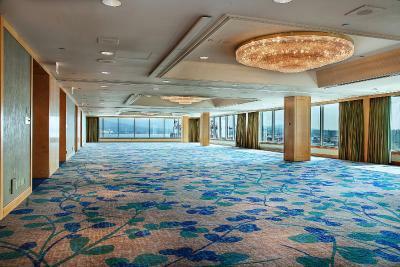 House Rules Pan Pacific Vancouver Hotel takes special requests – add in the next step! 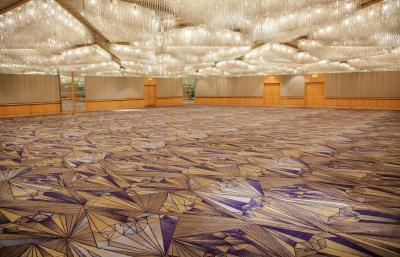 Pan Pacific Vancouver Hotel accepts these cards and reserves the right to temporarily hold an amount prior to arrival. 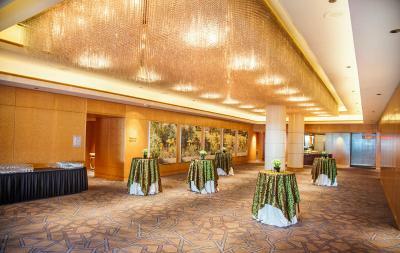 Please note, guests can request High Speed Light WiFi or High Speed Enhanced WiFi for an additional fee. WiFi is included in the standard rates, suites and Pacific Club rooms but not for nonrefundable room types except for Pacific Club and Bayview Suites. Please note, any reservation for 7 nights or more requires a 50% deposit. Please note, for pre-paid bookings, the original credit card must be presented at check-in. 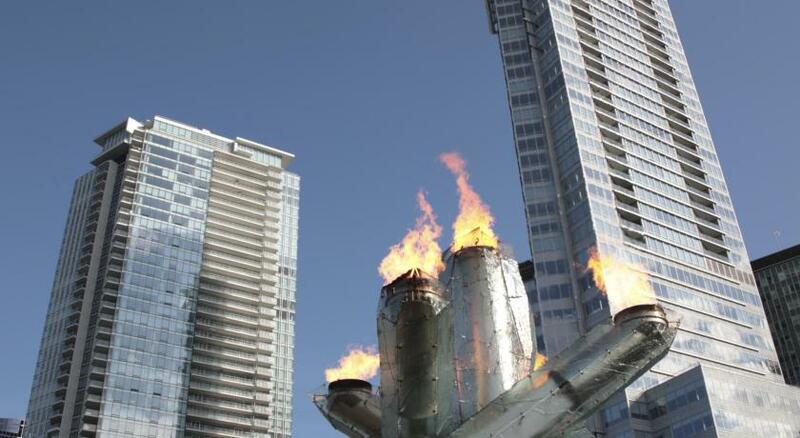 Please note, parking is available for CAD $55 valet and CAD $50 self-service. The only bad thing about he hotel is the parking. It's very expensive. Excellent location. Walking around the harbor area and downtown was great, with lots of good restaurants within walking distance. And the views of the harbor and surrounding mountains were fantastic. Stale and clinical. Food was average. Lots of additional charges. The gym is miserable. That it did not meet up to expectations. The first room offered was not like the pictures. There was food left all day in two locations in hallway. There was no check in gift bed was not turned back. Had to get my own place setting n the club room. Would not stay here again. The ceiling was low..weird but maybe because I’m tall?? The sheets and pillows were amazing!!! That parking costs were a bit high. Bed was broken. Not sure how that was missed in a fine hotel; expected a lot more attention to detail such as a non functioning furniture. Very inconvenient! Rooms standard, not special. Internet not included. I hate being Nicole and dimed. Parking also very expensive.